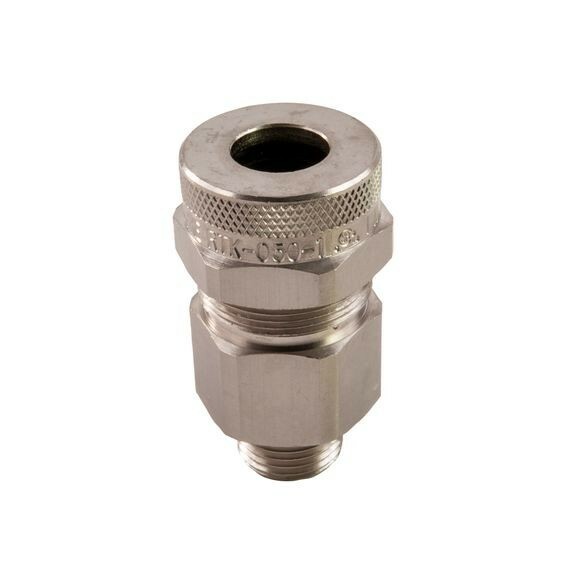 RATED NEMA 4 AND IP 65, REMKE'S MC CABLE CONNECTORS ARE IN-STOCK IN 1/2" TO 4" HUB SIZES IN ALUMINUM, NICKEL-PLATED ALUMINUM AND STAINLESS STEEL. Remke PowR-Teck™ Metal Clad (MC) Cable Connectors feature an exclusive one-piece design. Other manufacturers give you 4 or 5 pieces to assemble and if you lose one you're out of luck. But not with Remke! When you choose the PowR-Teck connector you the the PowR-Lock one-piece design that's more compact in size. And no disassembly is required - just push the cable through, tighten the connector and you're done.